Investors considering an investment in the Middle East need to look no further than the United Arab Emirates. Established in 1971, the country located on the Arabian Peninsula is a federation of seven principalities. Each one of them known in Arabic as emirates, is ruled by a hereditary emir. Together they form a council where one of their number is elected as the President of the United Arab Emirates. Today the emirates are known for having the 7th largest oil reserves in the world and the 17th largest reserves of natural gas. The two most important cities for business and culture are the capital of Abu Dahbi and Dubai. The country is ranked 23rd in the Ease Of Doing Business Rank, as measured by the World Bank. This is out of 189 countries. The nation has the most diversified economy in the Middle East. 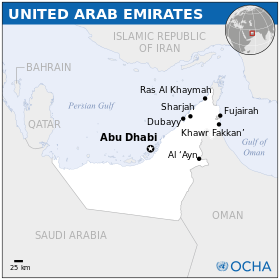 The United Arab Emirates (UAE) together have a population of 9.2 million. What is unusual about this is that only 1.4 million are actual citizens the rest are expatriates. The country is a high income economy with the 19th highest nominal GDP (Gross Domestic Product) in the world. Because of the energy resources of the country the UAE enjoys a hefty annual trade surplus. It has the second largest economy in the Arab world after Saudi Arabia. Unlike some of the other oil producing nations in the region, the UAR has been successful in diversifying its economy. 71% of the country’s total GDP comes from sectors outside of oil. There is an ongoing construction boom with projects worth over $350 billion USD. Tourism is one of the main sources of income for the country. As a result, some of the world’s finest hotels can be found in the UAE. 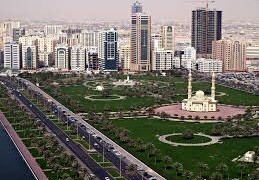 What makes doing business in the UAE advantageous is where it is located. The country is halfway between Asia and Europe. The country is also serviced with two top notch airlines, the Emirates and Etihad. The UAE is considered one of the least corrupt nations in the Middle East. There is the result of a strong tradition of the rule of law but unfortunately, the judiciary is not entirely independent. It can easily become subject to political review. The major advantage for investors outside of location is that there is no income tax. In addition, there is no federal level corporate tax either. However, in some of the emirates there are small rates of business tax for certain activities. There are few official taxes overall, with the total taxation rate at just 6.1% of the economy. In 2014 so far $9.6 billion USD has arrived in Foreign Direct Investment. The seven emirates consist of Abu Dhabi, Ajman, Dubai, Fujairah, Ras al-Khaimah, Sharjah, and Umm al-Quwain. Together they comprise a total of 83,600 km2 which is the equivalent of 32,278 square miles. Arabic is the official language, and Islam the official religion. This is important because Islamic banking is becoming increasingly prominent. It involves getting around the sticky issue of charging interest on borrowed money. Banks in general do offer a wide variety of services, and are competitive as well as efficient. State banks are still widely evident, but there are well over 100 branches of foreign banks throughout the country. Inflation has been in decline with a relatively low at just 1.4% as of 2012 and has dropped even further in 2014 to 0.7%. Economic growth in the UAE for 2014 is estimated to be between 3.9% to 4.4%. This was comparable to the rate of 4% growth in 2012 and 2013. Business is booming once again, after the brief economic crisis of 2009. Foreign investment is flooding back in. The GDP was $390 billion USD (United States Dollar) in 2013. GDP per capita is in excess of $48,000 USD, the 7th highest in the world. GDP by sector is 56.1% of the total in industry, 43.1% in services, followed by 0.8% in agriculture. GDP PPP (Purchasing Power Parity) is $271.3 billion USD which is $49,012 USD per capita for citizens. For the entire population it is $29.176 USD. The main industries of the country begin with petroleum and petrochemicals. Despite efforts of diversification 80% of government revenues still originate from oil and gas exports. However other industries are expanding as well, which include aluminum, cement, commercial ship repair, construction materials, fishing, fertilizers, handicrafts, partial plane building and textiles. The labor force is in excess of 4 million with unemployment at 2.4%. By occupation 78% of the total are engaged in services, 15% in industry and 7% in agriculture. Although the UAE nationals themselves, rely quite extensively on public sector employment and numerous subsidized national services. Government spending is at 24% of gross domestic output. Public debt is quite low at 18% of GDP. Exports are in excess of $314 billion USD. The UAE is the second largest exporter in the region. The main products for this market consist of crude oil, natural gas, re-exports, dried fish and dates. The country’s number one partner in trade is Japan at 15.4% of the total export market. Pakistan is second at 13.4%, followed by Iran at 10.7%. Thailand and Singapore come next in importance at 5.5% each. South Korea rounds out the major export partners at 5.3% of the total. Imports for the UAE equal $273.5 billion USD. These goods mostly consist of chemicals, food, machinery and transport equipment. The major import partners are Pakistan, China and the United States at 17.0%, 13.7%, and 10.5% respectively. Next in line is Germany at 5.1% of the total and Japan at 4.2%. In 2012, the United Arab Emirates became the largest consumer market in the region passing Saudi Arabia. The average tariff rate for the UAE is 3.7%. Non-tariff barriers to trade are mostly insignificant. 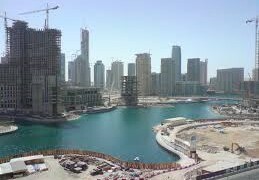 The United Arab Emirates economic freedom score is 71.4%. It is listed as the world’s 28th freest in the 2014 report as measured by the Heritage Foundation and the Wall Street Journal. They have been producing these reports for the last 20 years. The UAE is behind Botswana, but slightly ahead of Macao. Only Bahrain ranks higher in the region, with that country ranking at 75.1%. However, Bahrain has declined in the ranking by 0.4% while the UAE has increased in the ranking by 0.3%. Qatar comes in third with a score of 71.2%. UAE has achieved its highest score in a decade, in 2014. For comparison the world average is 60.3% and the regional 61.5%. 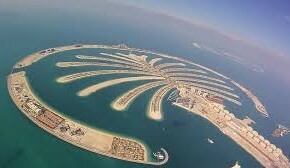 As stated previously Dubai is the center of commerce, finance, tourism and transportation for the UAE. This area of the country has permitted the establishment of free trade zones. In these special zones 100% foreign ownership is permitted with zero taxation. This has been a great incentive in helping the country to diversify the economy, and is a major reason why so many investors have come to the UAE. A disadvantage for some potential investors, is the issue of private ownership of land. In Abu Dahbi for example, all land is government owned. Non citizens are only able to own property outright, in certain areas of the country. Foreign ownership is capped in a number of sectors in the economy at 49%. In the UAE, launching a new business venture takes 8 days with just six procedures. No minimum capital investment is required. Employment regulations are flexible with worker costs moderate. The procedure for licensing has improved, but still takes over a month. Recently the Dubai International Financial Centre has been developed. It offers 55% foreign ownership, no withholding tax, and freehold land office space. There is a new stock market for regional companies on the premises as well. There is ongoing development of internet and media free zones. In other locations, new 100% foreign ownership laws have encouraged many major international companies to open branch offices in the UAE. The reforms in the property market, have led to a boom in construction and real estate. Some of these have become world famous. 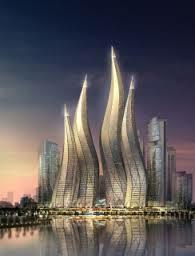 These would include 2 Palm Islands, the World Archipelago, Dubai Marina and Jumeirah Lake Towers. In 2014, the country passed legislation to promote smaller firms. It will give these entities greater access to official contract and loans. It is also permitting, that future IPO (Initial Public Offerings) of stock will be reduced from a mandatory offer of 55% to 30%. This in turn, will allow more companies to remain in private or family hands. A new broader companies law for this year although helpful, still does not address the two main issues for international business operations in the UAE. One is concerning bankruptcy procedures and the rights of creditors. The other is the issue of foreign ownership which is still evolving in a piece meal fashion, instead of one standard adopted throughout the country. There are government promises that more business reforms will be enacted soon, to deal with these and a number of other issues.